Move in Ready! 19.2' X 13.4' lavish Screen Porch added in 2010 to enjoy the peaceful setting. 2009 fresh interior paint and floor coverings. New Heat Pump. Open Floor Plan w/sheetrock walls. Huge Kitchen has work island & cabinets w/pull out drawers. Living Rm w/Rock Fireplace, built ins, and lots of windows for natural light. Powered Workshop. Monthly lot rent of $303.45 includes water, sewer, mowing, street maintenance and use of clubhouse. Formal Dining Rm. plus Eat In Kitchen. Handicap Ramp. Man Cave area in the powered workshop. 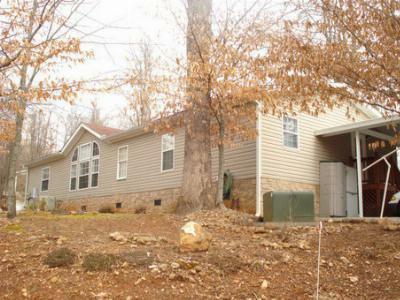 This home is located in Carolina Village 55 and over Mobile Home Park. Paved Streets and only 5 minutes from shopping, hospital and the Whistle Stop Antique Mall.